Battle Creek Log Homes offers a full range of material and labor packages for log homes and cabins of all sizes and layouts. Whether you are a do-it-yourself builder interested in purchasing a log home material package or a full-service customer seeking ground-up dry-in construction, we are here to serve all of your needs. Browse the pages listed below to learn more about our material packages, our labor packages, the detailed construction plans we provide, and other items to consider. 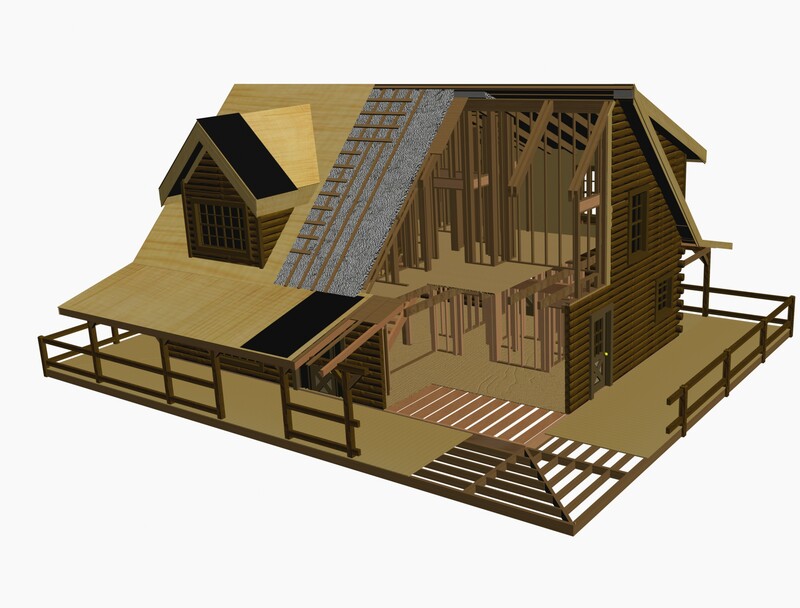 Our heavy timber dry-in packages include all of the Eastern White Pine logs, joists, decking, rafters, construction plans, and other materials needed to complete a dry-in. Operating within a 1,000 mile radius from our headquarters in South Pittsburg, Tennessee, our expert construction crews complete your dry-in with long-lasting quality. We supply our customers with the most detailed and complete construction plans for every custom log home we design, ensuring code compliance and a straightforward build. 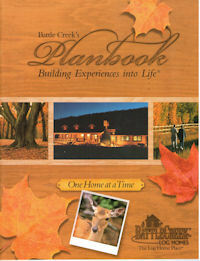 Click below to learn more about all of the things to consider when planning to build the log home or log cabin of your dreams with help from Battle Creek Log Homes. Battle Creek precision mills each log into a variety of log profiles each of which features a double tongue and groove joining system. The double tongue and groove system has been proven to add strength and rigidity while helping prevent air infiltration. Each tongue and groove is fortified with a weatherproof gasket. The logs are then anchored together with lag screws. This combination of tongue and groove, weatherproof gaskets, and lag screws ensure an airtight seal in each Battle Creek Log Home. After being milled and individually inspected, cut, and numbered for each and every individual plan, the logs are packed in weatherproof coverings and shipped anywhere in the United States or Canada. Battle Creek also has its own construction crews available to “Dry-In” their homes. So, whether homeowners take advantage of Battle Creek’s in-house construction services, or choose to build it themselves, Battle Creek’s commitment to value, quality and service will delight even the most discerning of customers.